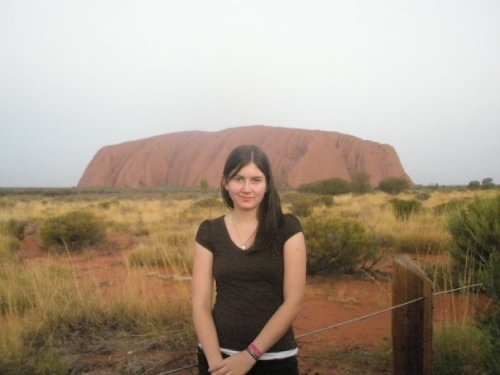 When I went to Uluru I had to sitt in a car for so many hours with nothing but desert and a couple of trees around me. It was an emty landscape! Sometimes there would come a gasstation but other then that nothing! When we had about 30 min to an hour left, we stopped because on the horizon you could see Uluru already. Uluru is not that high but when you dont have any trees or any mountains around its not difficult to understand why we could see it. When we got there we left our bags at the hotell and then drove to Uluru to watch the sunset. 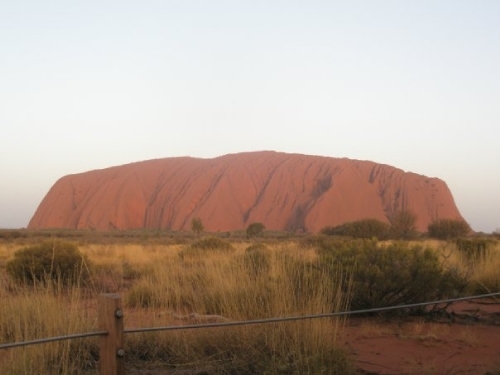 The most amazing thing was when the sun came down Uluru turned from red to purple! After that we drove around Uluru and you could see so many faces and symbols. We started to ask each other what does that look like and so on. The only negativ thing was because of the heat there were so many flies that you couldnt open your mouth or your eyes. 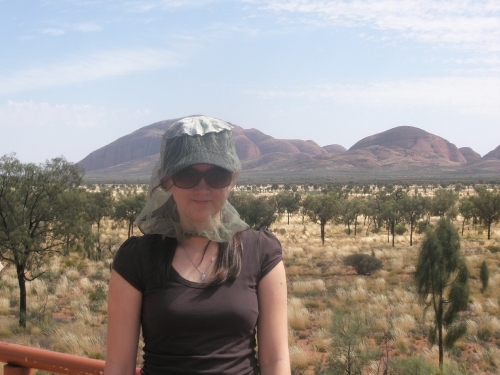 Luckily I got to borrow a hat with a net so I didnt have to worry. An amazing place everyone should go an visit!!!! Kategorier: Allmänt, Australia, Dagbok, Resa | Ingen har kommenterat än bli den första!